Danish Meat Research Institute (DMRI) is the international leading research and innovation centre within food of animal origin. DMRI assists our customers in improving their competitiveness. 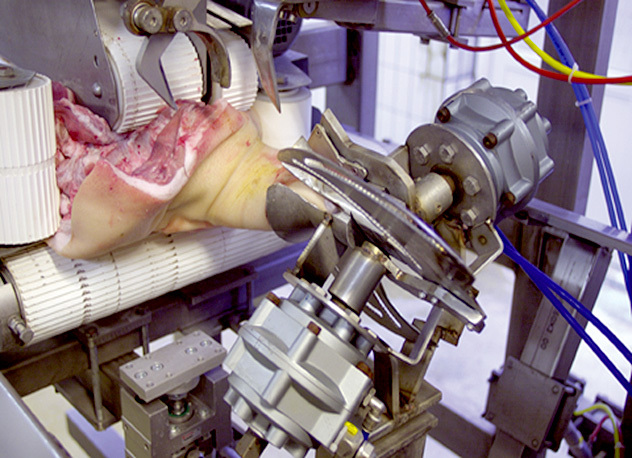 Our experts develop solutions for the meat industry and provide domestic and international consultancy and training within process design, productivity improvement, product quality and hygiene to abattoirs and processing companies. DMRI is focusing on methods and technologies for efficient production of safe meat products of high quality at competitive prices. At the same time, DMRI is committed to enhancing the working environment and animal welfare as well as demonstrating due care to the external environment.